You could conquer the 3rd highest mountain in North America for a fraction of the price, and it would take a fraction of the time as the other 2 highest summits. I’m talking about Citlaltépetl, or most known as Pico de Orizaba. It is the highest peak in Mexico, and the third in North America. Citlaltépetl meaning “Star Mountain” is the name given in Nahuatl, a local dialect used by the Aztecs. At 5,636 meters (18,491 feet), Pico de Orizaba is the world’s most pronounced volcanic peak after Mount Kilimanjaro in Africa. Nowadays this mountain has the last glacier of Mexico, called “Glaciar de Jamapa”. This mountain is a volcano which is currently dormant but not extinct, with the last eruption taking place during the 19th century. It attracts hundreds of international climbers to its summit each year. 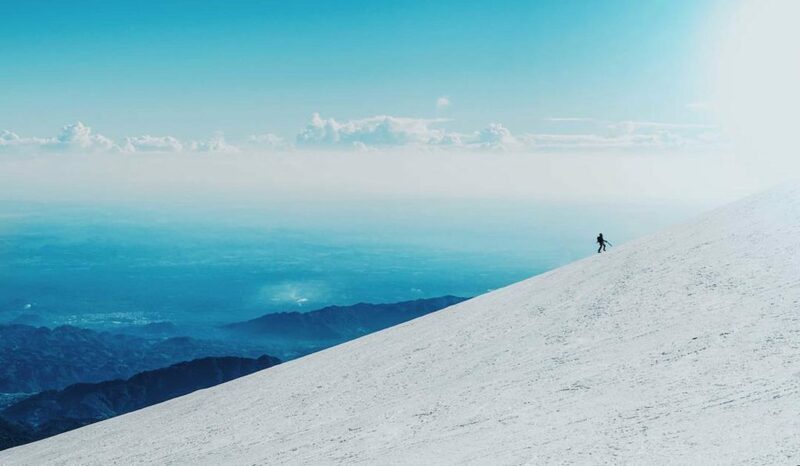 The most popular time for traversing Orizaba is winter, particularly around Christmas time, this is due to Mexico’s yearly rainy season being June – October. 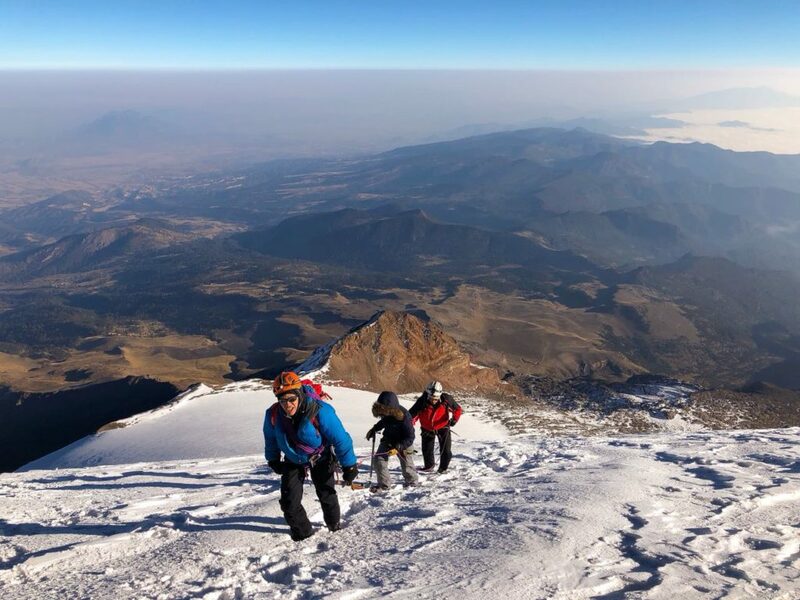 Due to the mountain’s high altitude and the glacier at the top that starts at around 16,000 feet, it’s essential that mountaineers who are looking to take it on be; acclimatized, have the right experience, have the correct gear, and hire a professional guide to climb Orizaba. Let’s start at the beginning, to climb Pico de Orizaba, first you will need to prepare. One of the most important things about climbing a mountain is to get ready before you go. Pico de Orizaba is not technically difficult, but I have to say it’s very physically demanding, specifically your legs need to be in shape. Another factor to consider is acclimatization. 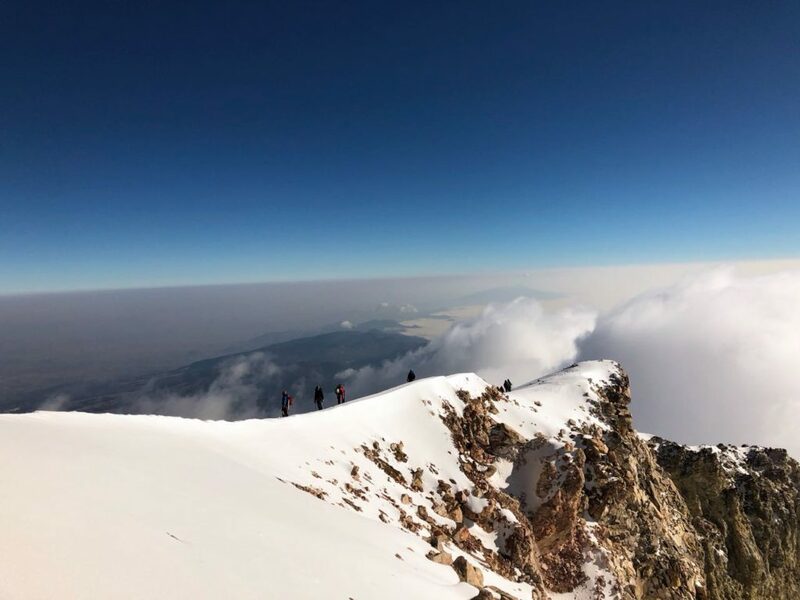 If you haven’t been higher than 13,000 feet in the previous three weeks, I recommend you to go to Nevado de Toluca or Malinche to acclimatize, both mountains are accessible from Mexico City. What gear am I going to need for climbing Pico de Orizaba? 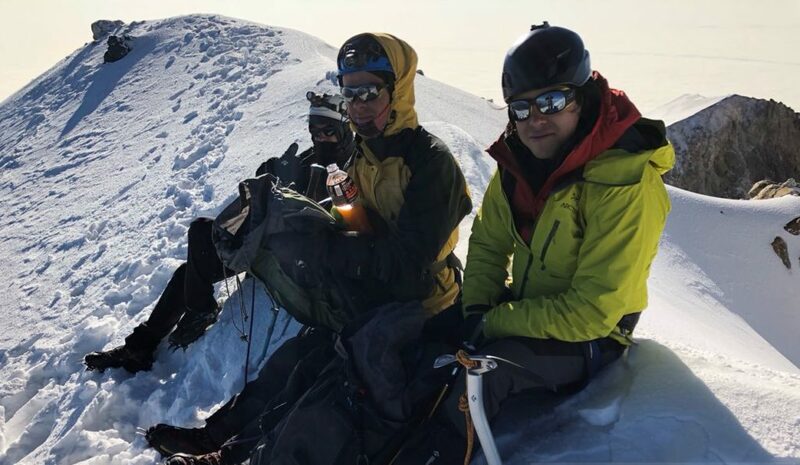 I’m guessing that if you are interested in Pico de Orizaba is because you have some experience in mountains and you want a bigger challenge, so you probably have your basic clothing layers. 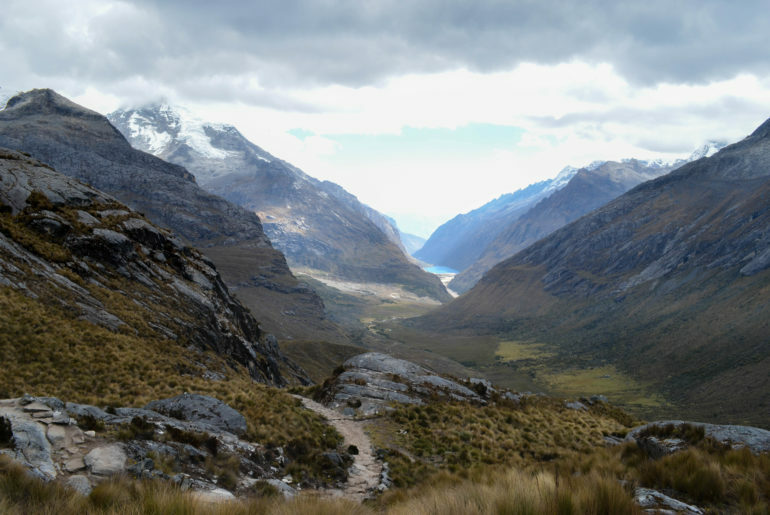 If you need a refresher, read our article on how to stay warm while trekking. Below is a list of the minimum required equipment for a high altitude trek like Pico. However, a professional guide may provide some or most of these items for you. Be sure to ask the company you book your tour with, what equipment they provide. Backpack, minimum 50 liters capacity. Boots, should be warm, waterproof and supportive, I recommend to use a B2 boot (flex index). With flexible boots maybe you will have issues because of the inclinations of this mountain. Two options, by truck or bus, I’ll discuss both options. Renting a car is a 3rd option, but does not make much sense because it will be parked sitting at the base of the mountain for days. The best way to start this trip is to fly into Mexico’s City airport. Remember that Pico de Orizaba is not far from this point. It’s shared by two states, Veracruz and Puebla and if you get to this airport you will be 2-3 hours away depending on the traffic. Once you get into Mexico City you should take a bus directly to Puebla which you can get in the airport. After this, I recommend you to go directly to Tlachichuca, the town in the base of this mountain, if your goal is just to conquer Pico de Orizaba summit. If you have time you can take a few days in Puebla, this city has much to offer. Once you get Tlachichuca you will see in front of you the colossus mountain, it’s really impactful because as you drive directly at Pico de Orizaba the reflection of the snow from the enormous glacier is blinding. Once rested, it’s time to go to the mountain, to the base camp. For that you have to hire a truck 4X4 service and is a little over 2 hours of drive time on a dirt road. These services normally take you to the base camp and can also pick you up to take you back once you finish the mountain. The second more expensive option from the Airport is to rent a 4X4 vehicle that you can drive yourself to base camp. Once at the airport there are many options for hiring a truck. Once you have your truck head to Tlachichuca, the town in the base of Pico de Orizaba. This trip will be about 3.5 hours from Mexico City to Tlachichuca and then another 2+ hours down a dirt road to base camp. 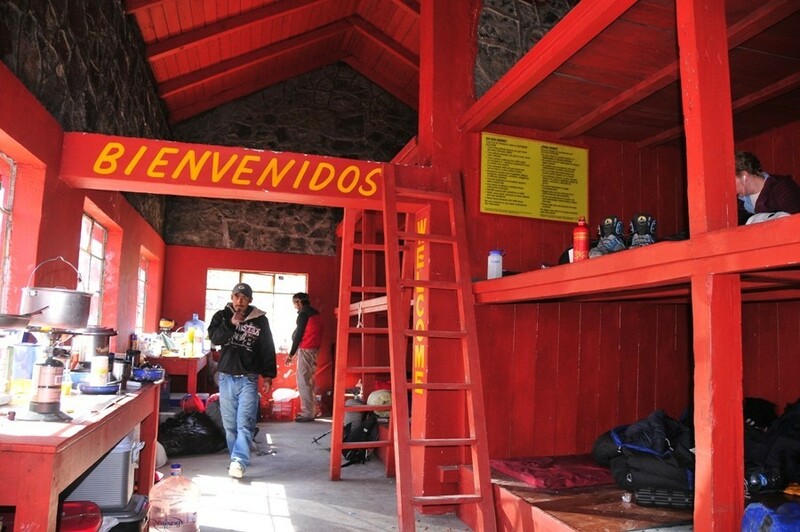 You are now at the base camp of Pico de Orizaba called “Refugio de Piedra Grande”. My recommendation, is to take 2 days for this expedition. This first day is to acclimate to the altitude and to rest. You should go to sleep at approximately 6pm to wake up at 1 or 2am the next day. Before you go to sleep eat a bunch of carbs to have enough energy for the expedition, depending on the person this can be 1-2 plates of pasta. I like to mix in tuna for some extra protein in the meal. Upon waking up at 2am you should start preparing your stuff to begin trekking. Take all the necessities for this trip but be aware of the weight in your backpack. It’s going to take you an average of 12 hours roundtrip to summit, so be smart in only selecting the things that are necessary. When you get out of the refuge or tent you will see a wonderful night sky. It’s one of the best skies I have ever seen. There are so many stars shinning down upon you. Grab a bite, prepare your things, and start trekking. One foot in front of the other. It is strongly recommended to hire a guide for the summit. Safety on a mountain of this elevation should be the highest priority. If you don’t know the route, you don’t want to leave anything to chance. Local guides are very friendly and they really know the terrain and are very well connected with emergency services. Pico de Orizaba’s route to the top is divided into two parts. The first part is simply trekking through dirt and rock. You are going to use only your boots and trekking poles. This part of the trek is very panoramic, and looks like you are on Mars. Second part in my opinion is more interesting because it is the beginning of the glacier. It’s massive, it’s beautiful, and it’s definitely demanding. At this point you hiking in your crampons, and your trekking poles have now been changed out to the ice axe. You are now also roped together with your climbing partners. Depending on the conditions this climb will be “easy” or “hard”. Why easy? Because with a lot of snow you can trek easily on the snow. But if the snow is frozen to ice, each step will be slow, and you will be trying to build holes in the ice to make sure you have decent footing. After 3 or 4 more hours of baby steps you are on the summit celebrating with your partners. Don’t forget to take a peak inside the crater, it’s pretty awesome and has spectacular colors. From the top you can see some great mountains; Iztaccihuatl, Popocatepetl, Cofre de Perote, Malinche, Nevado de Toluca. This view is indescribable, you are on the top of Mexico! After you have enjoyed your accomplishment there is only one thing left to do, descend back to base camp. This will take approximately 4 hours. Once you arrive at base camp you gather your things and get ready to take the truck back to Tlachichuca. 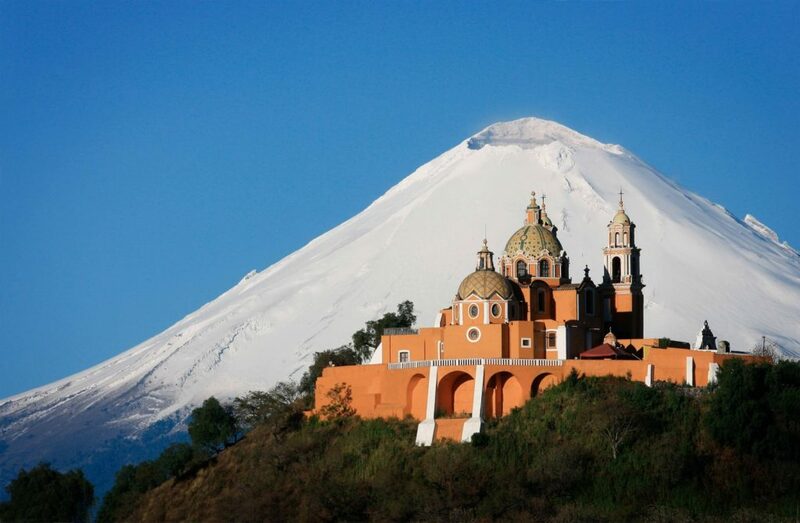 From here you can decide on either returning to Mexico City, visiting Puebla or any other town close by. Don’t forget to take in the culture and local cuisine and a selfie or two. Enjoy, Mexico. Hopefully this article has educated you on how to prepare for and conquer Pico de Orizaba. 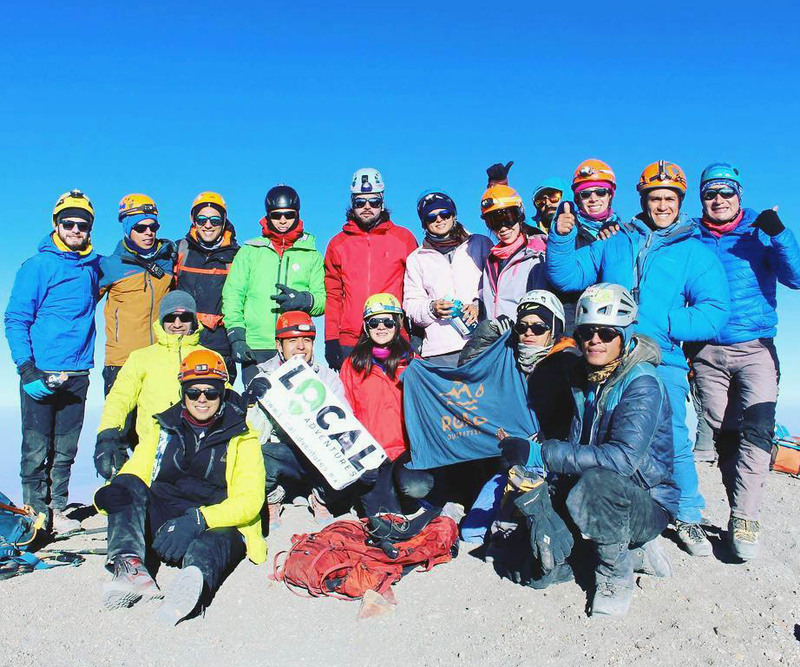 If you are interested making the logistics as seamless as possible, LocalAdventures provides an all-inclusive experience for climbing Pico de Orizaba. All you need to do is book a flight into Mexico City and then LocalAdventures takes it from there… great expert guides, great local cuisine, and great accommodations. Trust me it is an adventure that you’ll never forget. Let me know in the comments if this information was useful for you, and if you want to know more about high altitude trekking in Mexico. 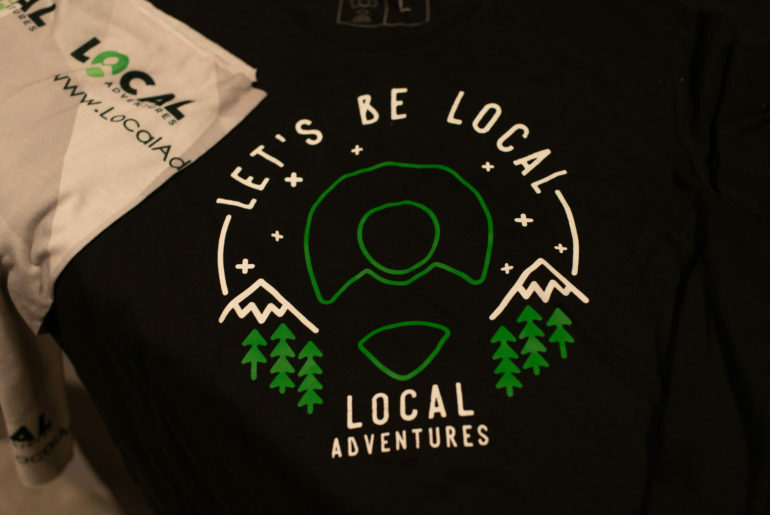 LocalAdventures co-founder and CTO. I really love to run, climb, scuba dive and reach some summits. Generally speaking, I like to hack life. 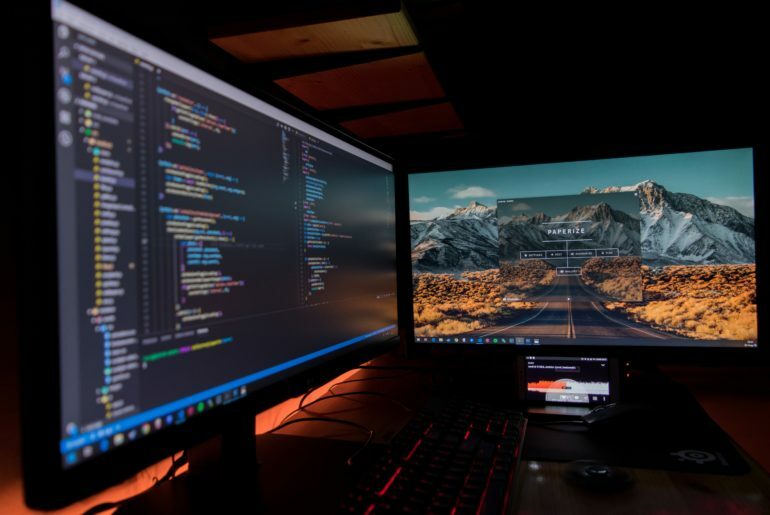 Awesome blog and really helpful! Nonetheless I am here now and would just like to say kudos for a tremendous post and a all round enjoyable blog, I don’t have time to browse it all at the minute but I have book-marked it and also added your RSS feeds, so when I have time I will be back to read a great deal more, Please do keep up the superb job.